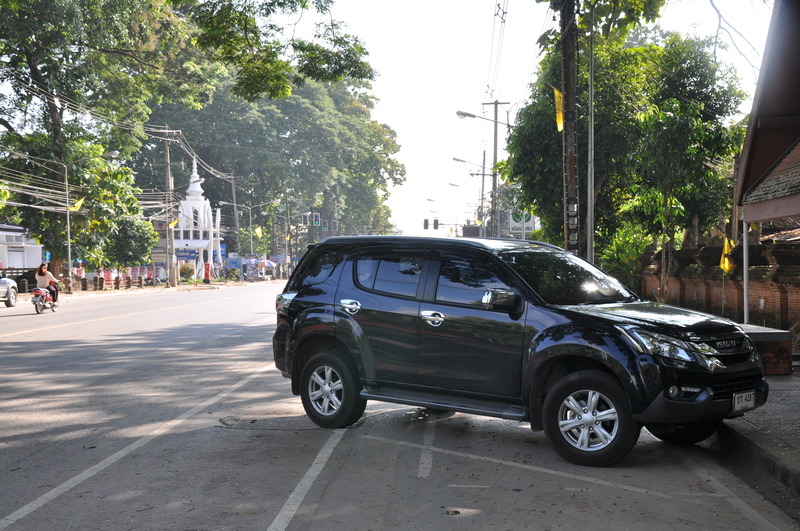 A circle trip from Chiang Mai north along Hwy 107 that took in some of the sites of Doi Angkhang, Fang, then onto the Golden Triangle and overnight in Chiang Saen and the Mekong River for a get away to experience a change of scenery and explore some new areas. Here are some information and pictures of our stops on the way. 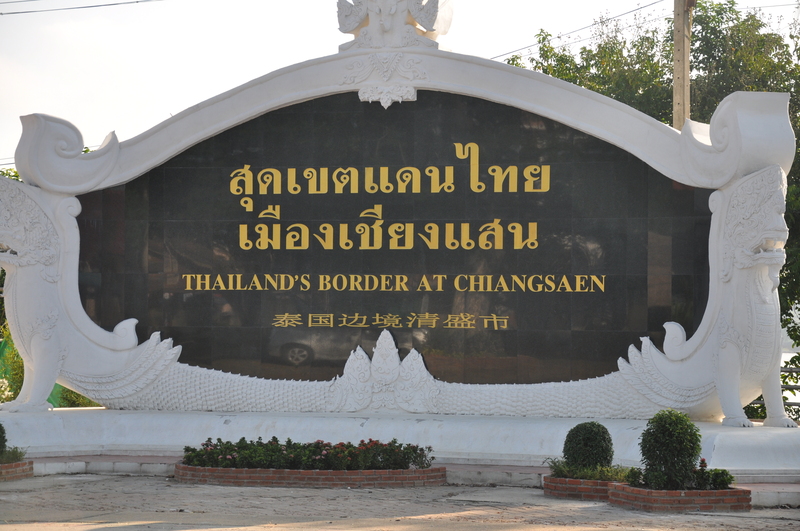 Ang Khang Royal Agricultural Station is a demonstration site for planting and researching flowering plants, temperate fruit trees, vegetables, and other crops under the patronage of His Majesty King Bhumibol Adulyadej. It is much more interesting than it sounds! The grounds are beautiful and bicycles can be hired by the hour. The restaurant at the back of the park serves local produce and a large fireplace adorns the lobby. The temperature is recorded on a board outside and in winter can get as low as 3C! 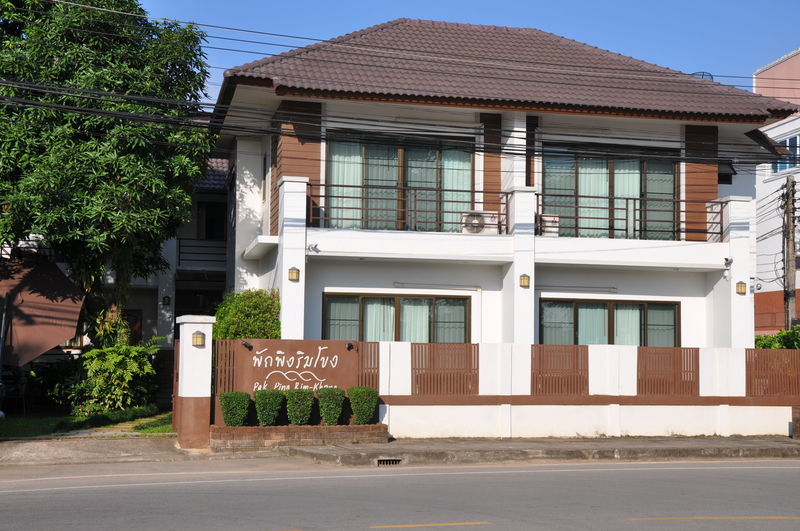 The restaurant has great food and worth some time to relax and enjoy. 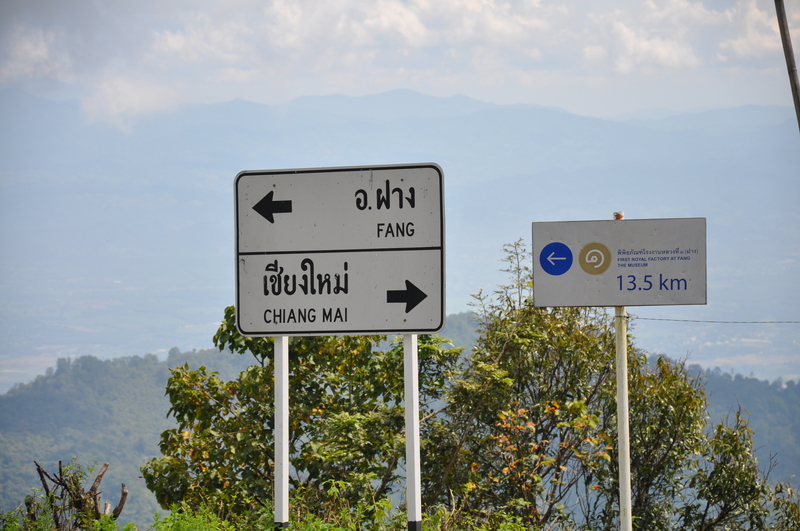 After lunch we headed back down toward Fang and then north by Chiang Rai to the Golden Triangle which is in Chiang Rai Province, in the far north of Thailand. The English name comes from the focal point or meeting of Laos, Myanmar and Thailand here, but to the locals it’s Sop Ruak, since this is where the Mekong meets the Ruak River. 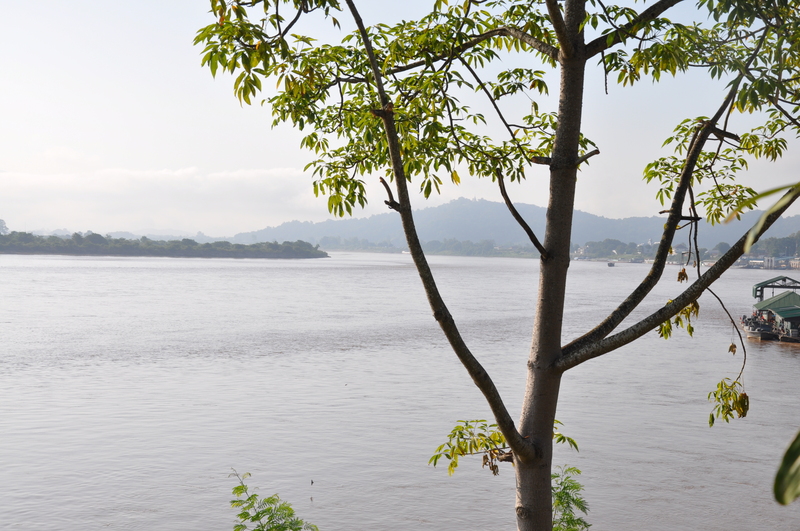 The main area is the Thai riverside near the point where the rivers meet, which — in the dry season, when the Mekong runs low — is even marked by a handy sandbar. This in itself is pretty anticlimactic, so a series of increasingly bizarre attractions have been erected by the riverside to make up for it: there’s a giant golden Buddha on a ship, elephant statues where you can clamber to pose atop a palanquin (in exchange for a donation, of course), elaborate shrines to the royal family, half a dozen signs stating that yes, this really is the Golden Triangle and, inevitably, river cruise touts, souvenir shops and Western-style cafes. 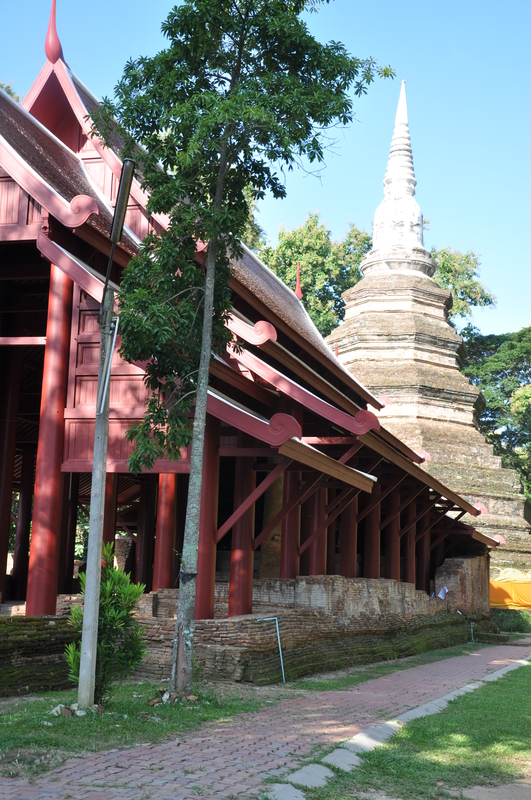 According to an ancient chronicle, the original city of Chiang Saen was built in 545 CE in an area called Yonok by Tai migrants from the Chinese province of Yunnan, and was an important city of the Lanna (“million paddies”) Kingdom. 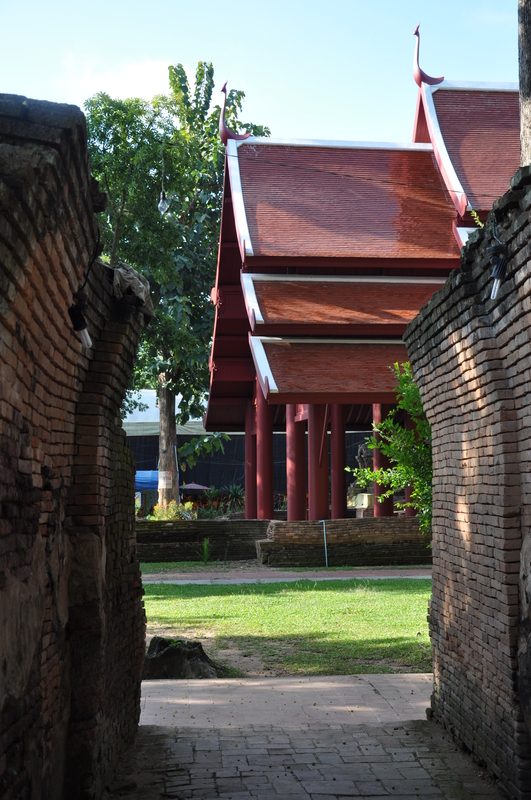 No reliable written history of the city exists until the arrival of King Mengrai in the 13th century. 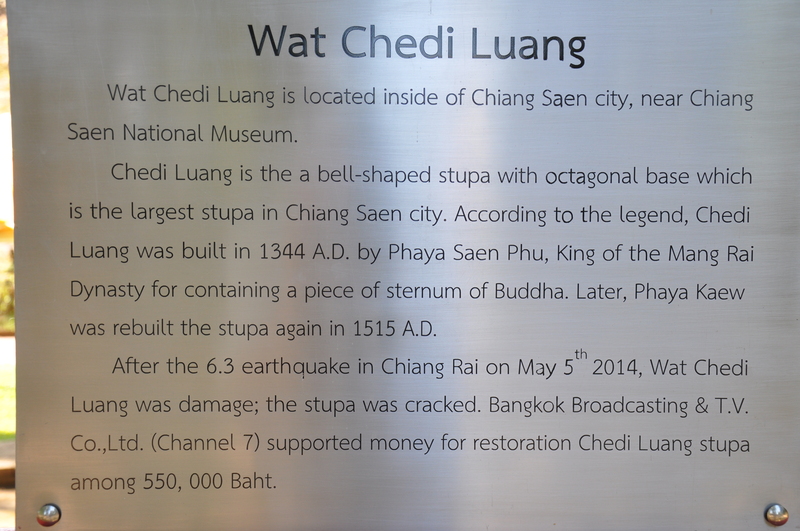 His grandson, Saen Phu, ruler of the Lanna Kingdom, founded Chiang Saen in 1325 or 1328. 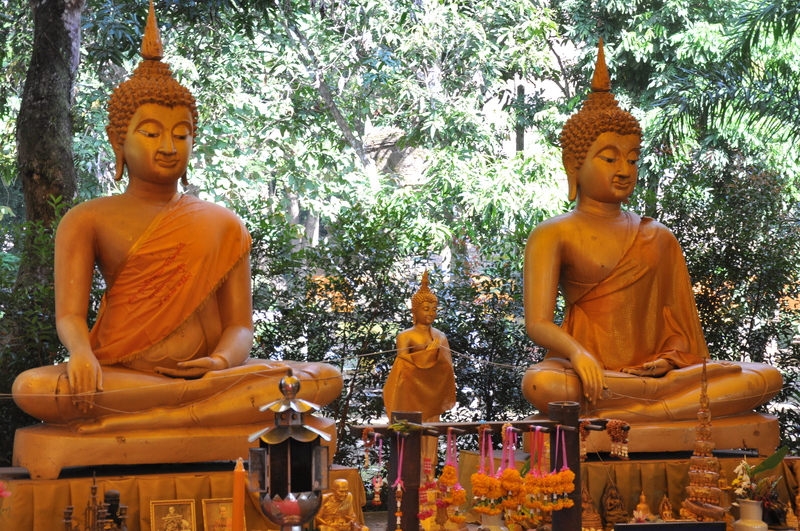 The city was sacked during the reign of King Rama I, because it had been the Burmese base of operations in the preceding years. 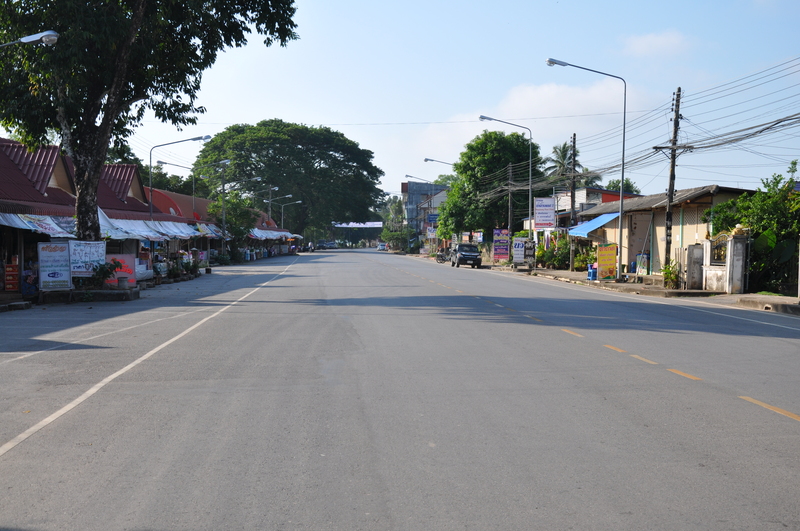 The city was deserted, while its inhabitants resettled in other Bangkok-allied Lanna cities such as Lampang and Chiang Mai. Several ancient ruins are found in the old cities. 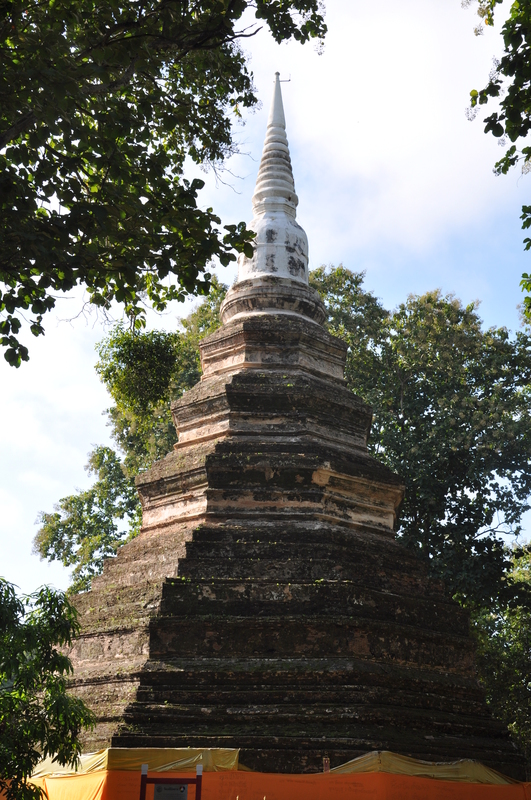 For example, Wat Pa Sak hosts a well-preserved Lanna-style “phrathat”. It was a nice couple of days with great scenery, lovely Thai food and some experiences to remember – road trips are still fun.